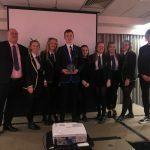 ← Success at Apprenticeship Showcase! 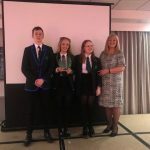 In the end the Survivalists were successful attaining the ‘Product Innovation’ award and the ‘Christmas Trade Stand’ award at the Lanarkshire finals. Receiving these awards has further enhanced the experience for the team of youngsters. 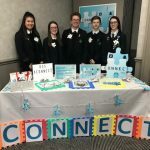 Connect also had great success this year, selling their personalised Jigsaws not only making great profit but more importantly using their product in local care homes to connect Alzheimer’s and Dementia sufferers with their families. 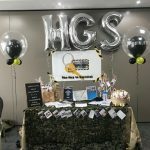 The initiative from Young Enterprise allows youngsters the opportunity to set up and run their own business gaining entrepreneurial experience thanks to the Company Programme. This entry was posted in Parents Information, Pupil Achievement. Bookmark the permalink.